This week, we have a special guest blog post and infographic from Daniel Stainsby at broadcast specialists Markettiers, looking at the evolution of audio! What audio have you listened to today? 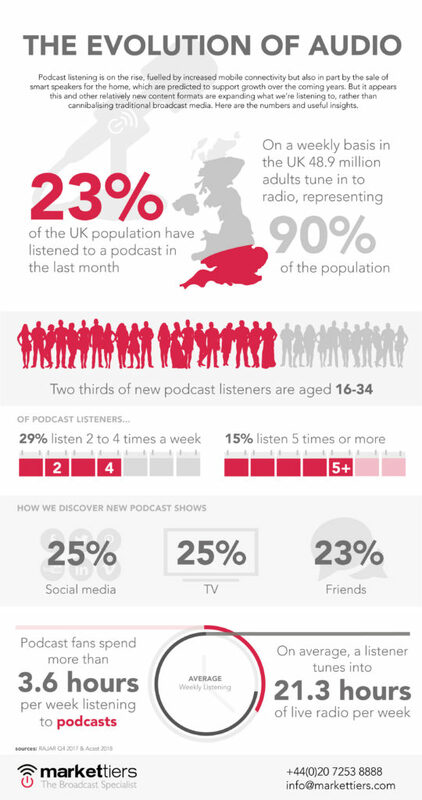 There’s a good chance it included some podcast content, with data revealing almost one in four (23%) UK adults now listen to podcasts each month, typically listening to more than 3hs 30mins week. Google Podcasts Product Manager, Zack Reneau-Wedeen, saying his team’s mission is “to help double the amount of podcast listening in the world over the next couple years”, these numbers are expected to draw closer to each other over the coming years. Rather than cannibalise traditional broadcast media, the growing popularity of podcasts seems to be expanding what we’re listening to. 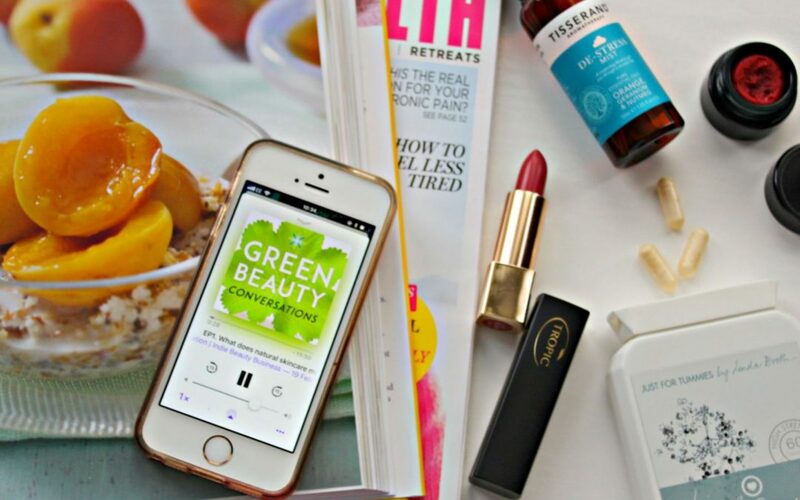 In part, this is due to the portability of audio content, which is not only key to the success of podcasts (almost three quarters are listened to via smartphone) but also increases the reach of digitally supported radio stations, carried by own brand apps, or the wonderful TuneIn Radio. Since we live in an attention economy and that attention is finite, it will be interesting to see how established broadcasters continue to adapt to the changing audio landscape (note, Jason Phipps, currently Head of Audio at The Guardian, starts in his new role as Commissioing Editor for podcasts at the BBC next month). We’ve produced an infographic to compare the latest podcast and radio listening figures that you might find nteresting!